Photovoltaic solar energy is a renewable form of electricity obtained directly from solar radiation by a semiconductor device called photovoltaic cell or a metal deposition on a substrate called thin film solar cell. This type of energy is used to power many autonomous devices, shelters or houses to supply isolated power grid and produce electricity on a large scale through distribution networks. 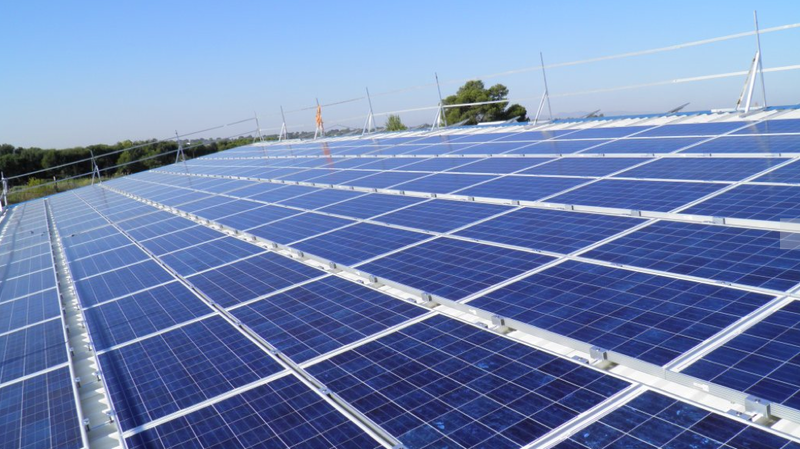 This type of photovoltaic plants can range from small installations of 1-5 kWp on our terrace or roof systems up to 100 kWp on roofs of industrial buildings or land, and even plants of several megawatts. 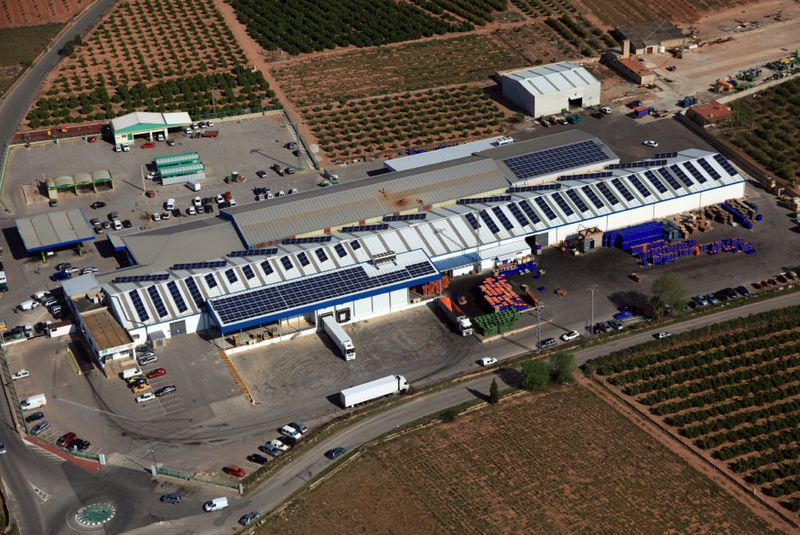 The model developed in Spain is known as solar farm, which consists of joining different facilities on several rural land’s owners. 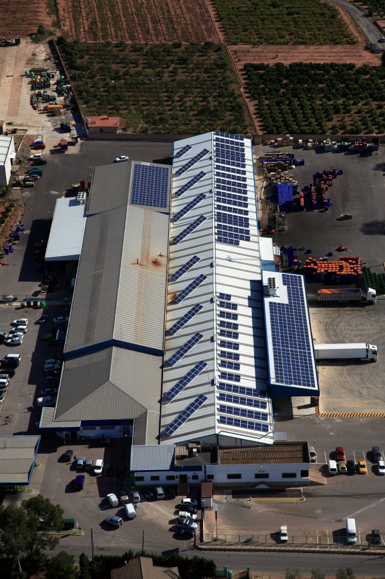 Each facility has a capacity of up to 100kw which is the threshold for legislation establishing the maximum retail price of electricity. These systems can be fixed or tracking, so that the solar panels are mounted on structures that move along the path of the sun to maximize power generation. Our Cooperative has a grid connected photovoltaic system. This application is used to generate electricity using photovoltaic solar panels and inject it directly into the electrical grid. Currently, in countries like Spain, Germany or Japan, the electricity distribution companies are obliged by law to buy the energy fed into the grid by these photovoltaic. The payback rate of this technology, meanwhile, is getting smaller. With current technology, photovoltaic panels recover the energy needed to manufacture on a period between 6 months and 1.4 years; considering that their average life is over 30 years, they produce clean electricity for more than 95% of their life cycle. 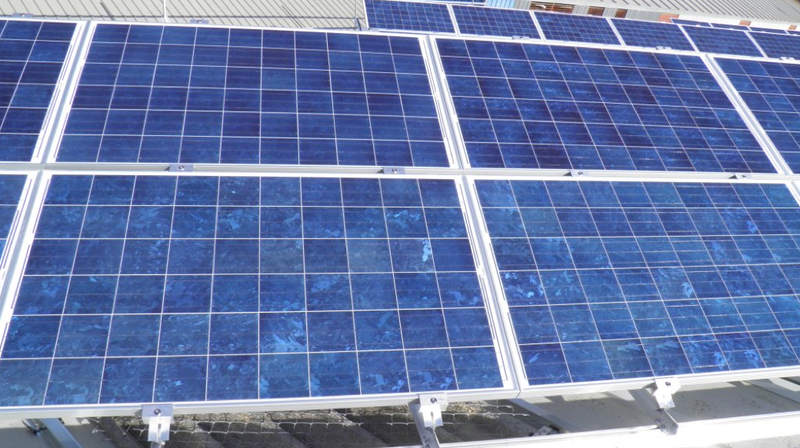 See our solar installation through the photo gallery.